Efficient operation and convenient setup, the Genie Runabout GR -15 lifts offer precise up and over access with outreach capability to get virtually any job done. Genie Runabout lifts are compact, low-weight machines that increase productivity on the job. 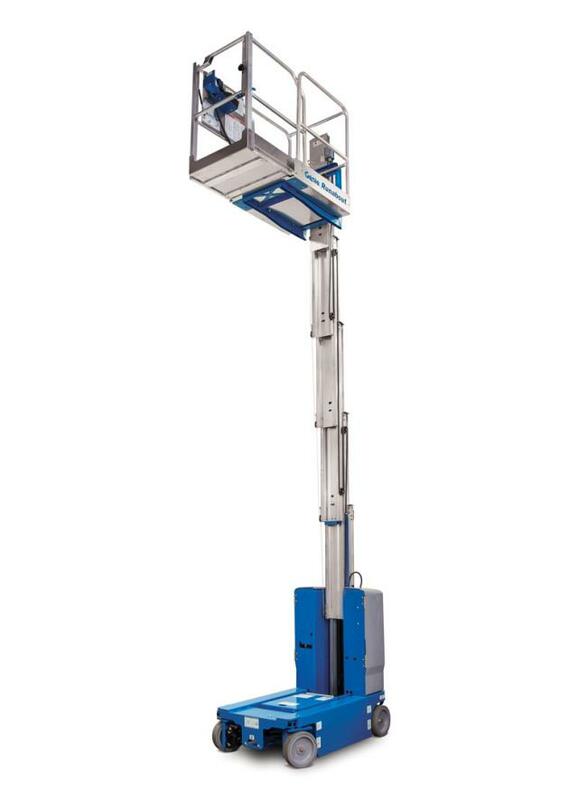 * Please call us for any questions on our 15 foot single manlift drivable rentals in Lexington KY, Richmond KY, Winchester KY, Georgetown KY, Frankfort, Mt. Sterling and Berea Kentucky.